The results of the supplementary governorship election in Sokoto State have started trickling in. Apart from Sokoto, the rerun election was also conducted in Kano, Bauchi, Benue, Plateau States. The Independent National Electoral Commission, INEC, had declared the exercise in these five states as inconclusive. The commission has so far declared winners in the governorship elections in only 22 states. 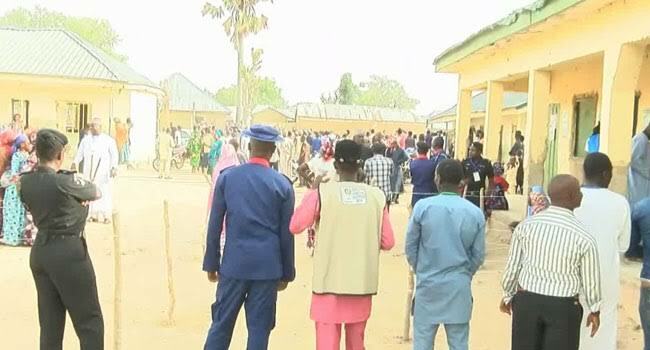 However, the Returning Officers (ROs) in Adamawa, Bauchi, Benue, Kano, Plateau and Sokoto states, declared the elections inconclusive. The supplementary elections will be held in some of the affected states today, March 23. Follow DAILY POST on this thread for results from Sokoto State as declared by INEC.